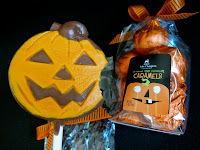 I found two different pumpkin-shaped offerings from Lake Champlain Chocolates at my local grocery store. 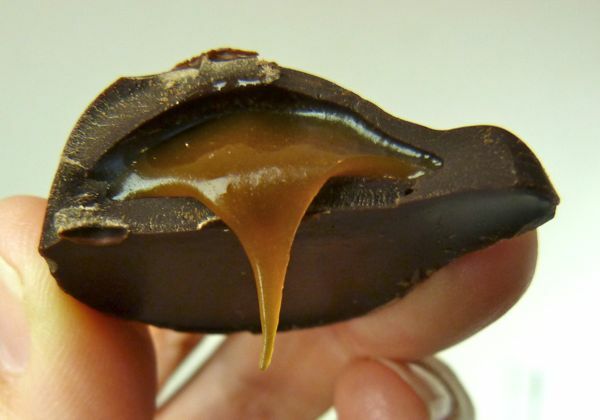 What's scarier than a dark chocolate pumpkin oozing with caramel? 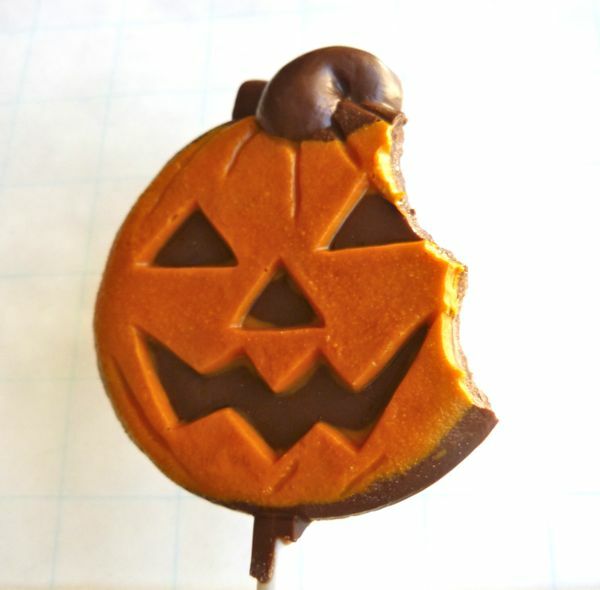 Maybe a milk chocolate pumpkin with a few bites out of its jack-o-lantern face? Today was Day #7 of Chocolate and Pumpkin Theme Week. Happy day before Halloween to you all.